Move over pumpkin spice. Apples are reclaiming fall. Long before savvy coffee chains started infusing our lattes with the “flavors of fall,” apple picking was one of NEPA’s favorite pastimes. As summer draws to a close and September rolls in carrying cooler nights, football and an inexplicable urge to sit around campfires, acres upon acres of apple trees await picky little fingers. They’ve taken their time through the spring and summer gathering nutrients from the soil and getting all juicy. And now, those famous NEPA apples, hanging plump and nearly giving way to gravity, are ready. Let’s go get em’! Every September hundreds of families descend on the picturesque Roba Family Orchard in Scott Township. They arrive with notions of shiny caramel apples and warm mugs of cider in their minds. Many come out of pure nostalgia. They remember picking apples with their parents or grandparents, and, later, kneeling on a chair in Grandma’s kitchen poking popsicle sticks through the apples. On the cool breeze they can almost smell the warm caramel as it cascades from the kettle onto the brilliant red apples. 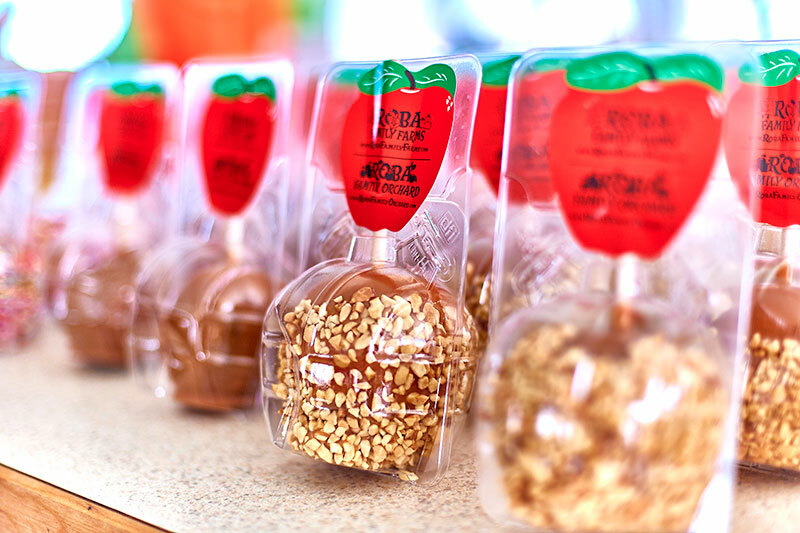 It’s all about the apples. The beautiful trees are lined up in aesthetically pleasing rows. From the shuttle, on your way to the orchard, you can see the biggest apples. They paint the countryside with a stippling of reds, greens and yellows. And when you’re among the trees, with friendly bumble bees for company, each apple catches your eye with a vivid radiance. It becomes clear that this is not your ordinary supermarket affair. These apples are a little truer. And if no one’s looking, you take a bite and realize they’re also tastier, sweeter and crisper. Sure, the kids will enjoy picking apples, but it’s a repetitive process and even in the best of cases, you’ll have their enthusiasm for about a half hour. Luckily, Roba’s also offers plenty of entertaining, kid-centric activities. Little ones can jump, dig and play in the giant corn box or take a ride on the brand-new Country Carousel. There are yard games like checkers and Giant Jenga and so much more. 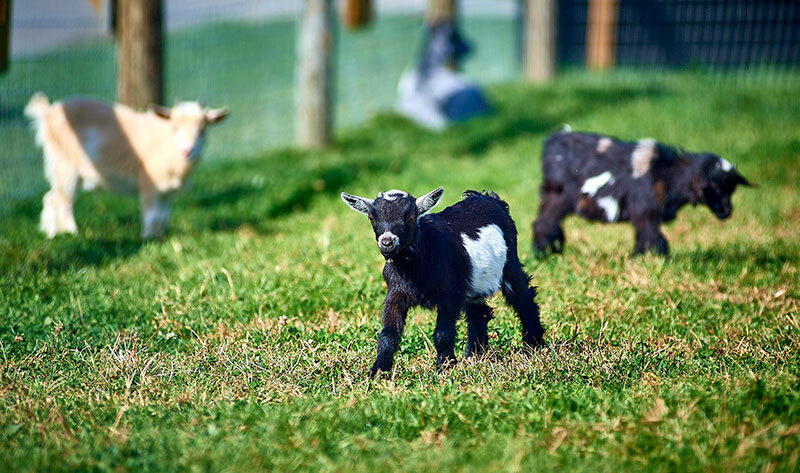 And the one attraction that truly can’t be missed — the adorable Goat Corral. 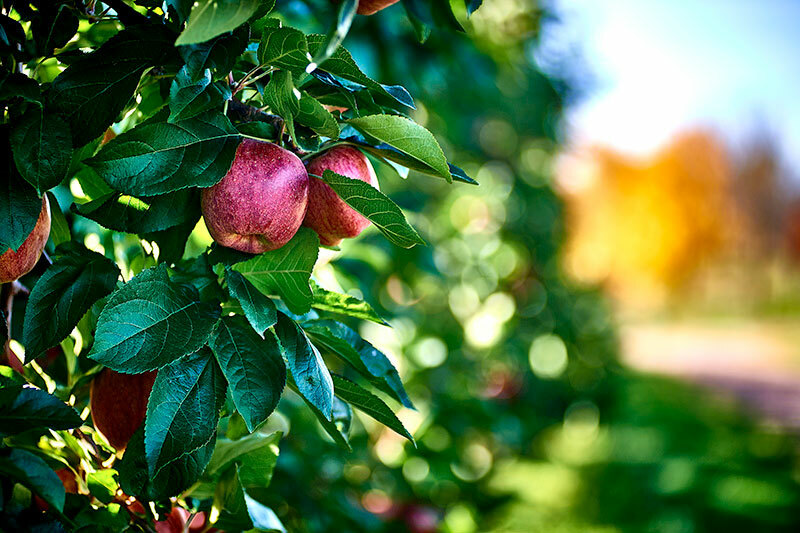 NEPA’s prime apple season runs from the beginning of September through the late October. Take a drive through pastoral Scott Township on a lazy weekend. 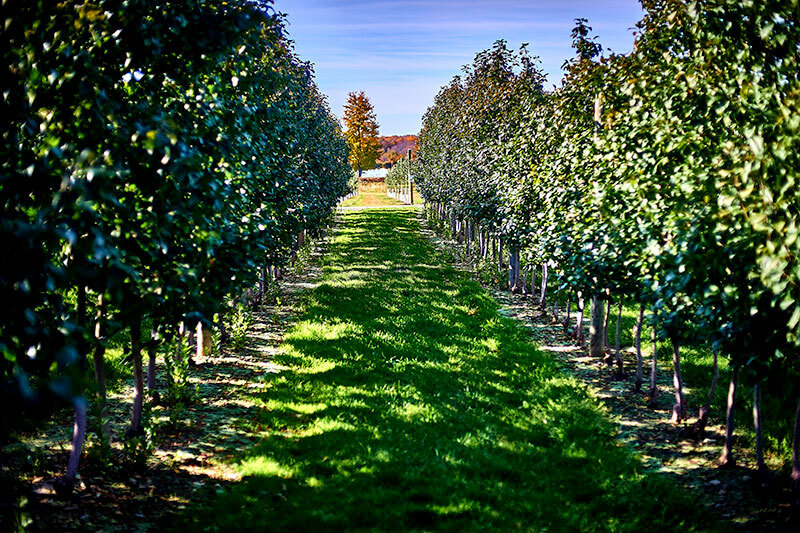 Stop by Roba Family Orchard and pick up a bushel (that’s roughly 60 apples). It seems like a lot, I know, but with over 25 different apple varieties, it actually might not be enough. And don’t worry, when it’s time to give pumpkins their due, you can stop by Roba Family Farms in North Abington Township. It’s a wonderland of fall fun including thousands of pumpkins, corn mazes, campfires and so much more.